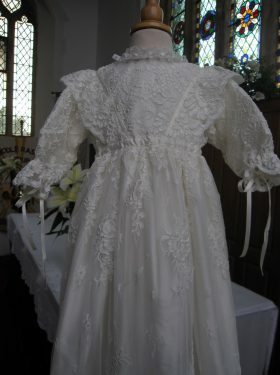 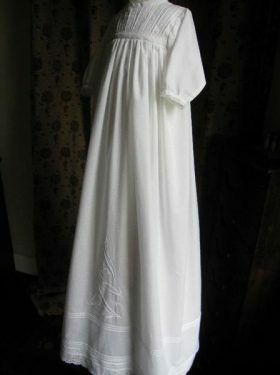 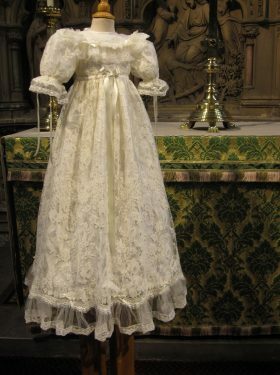 Once again Linda Patrick has designed a truly unique christening dress simply ideal for the forthcoming spring baptisms. 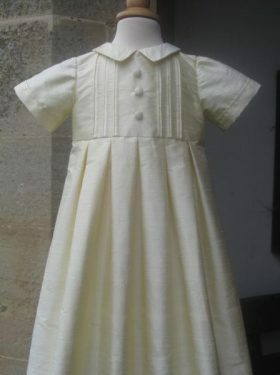 Due to demand for short styles, Little Doves has come up with the Carrie Christening Dress, a 100% pure silk dupion hand smocked dress complete with hand embroidery to personalise the garment. 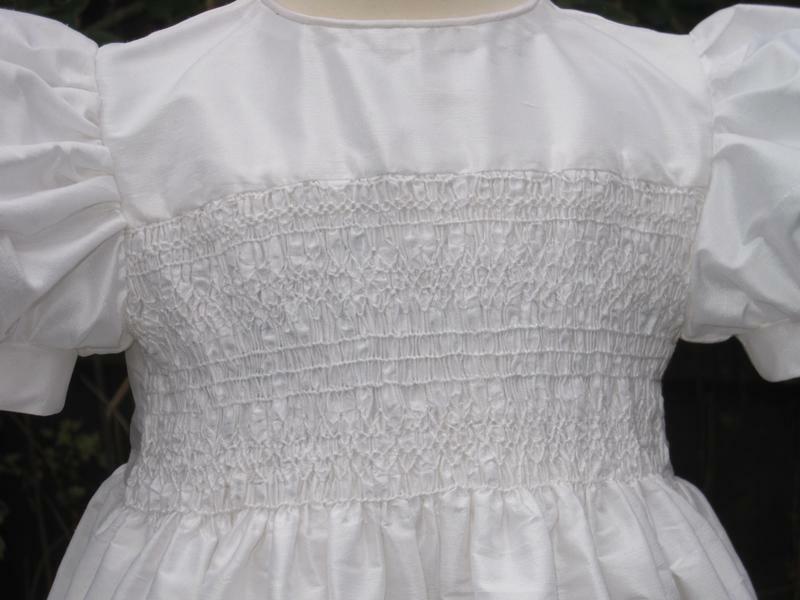 The Carrie dress has an elaborate smocked front bodice featuring over five different smocking stitches to give a luxurious feel to the dress. 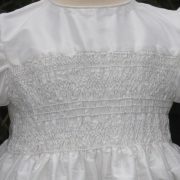 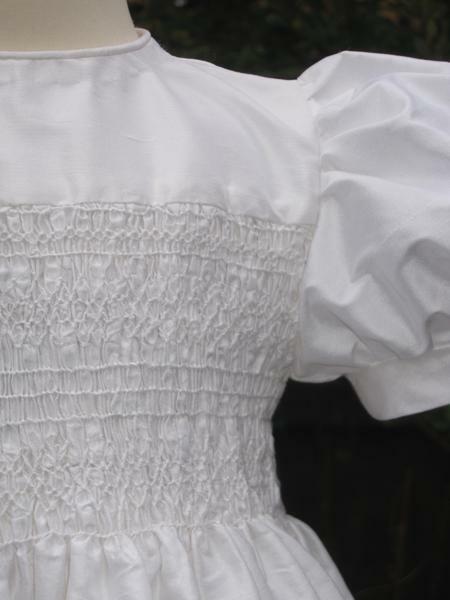 The full skirt falls away from the smocking to the ankle. 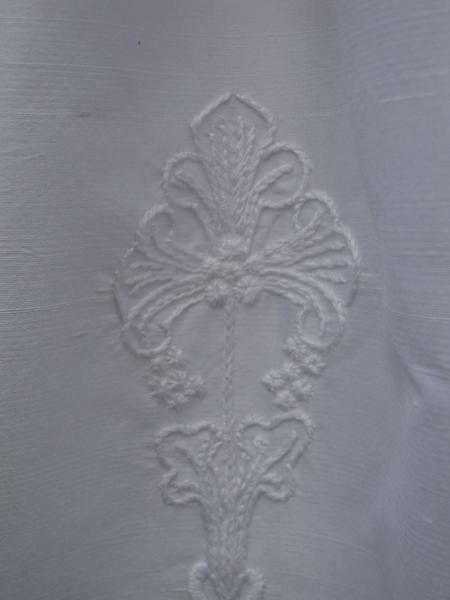 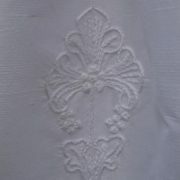 A hand embroidered cross with swirls and flowers compliments the design. 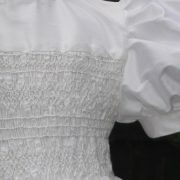 Short puff sleeves finish the design perfectly. 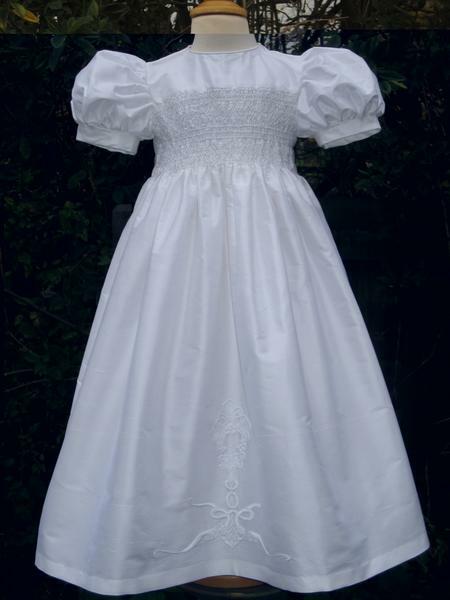 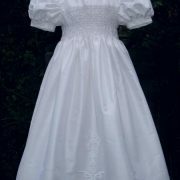 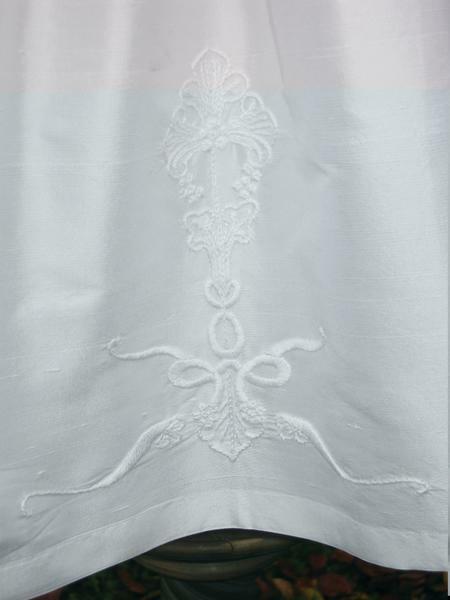 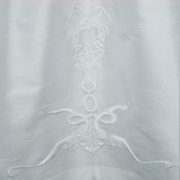 A range of� accessories are also available to match the Carrie Christening Dress.